Taking care of your machine is crucial to keeping it running in smooth working order, avoiding expensive repairs and downtime. Your excavator is the driving force that allows your team to get their jobs done. Taking care of your machine is crucial to keeping it running in smooth working order, avoiding expensive repairs and downtime. Be sure to keep accurate records for each machine in your fleet and have your operators and technicians faithfully perform the tasks at each interval. When renting a machine, it is equally important to follow the rental company's daily maintenance procedures to avoid additional charges for repairs. Below are the recommended inspection and maintenance procedures at the recommended intervals for most excavators. Please refer to your excavator's service manual for variations specific to your make and model. This 8-hour checklist includes procedures that should be performed before each 8-hour shift. It's a good idea to have the machine operator get into the practice of running through this checklist and performing these tasks first thing before operating the machine for the day so that issues are not noticed and made worse. Create a form that can be printed out and ensure that it is completed before operation each day to avoid damage to the machine. Check and clean radiator/ intercooler. Check for any irregular noises on start-up and while running. Check the diesel fuel level. Check all safety devices (steps, handrails, lights, alarms). 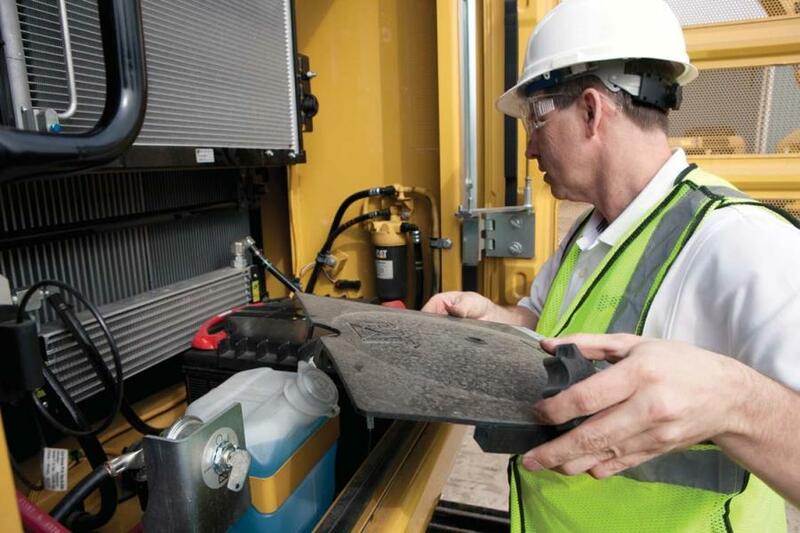 By following all procedures noted in your machine's service manual according to your manufacturer's maintenance schedule or following the maintenance requirements in your rental agreement, you will have the best chance possible at avoiding unexpected failures, downtime and costly repairs.